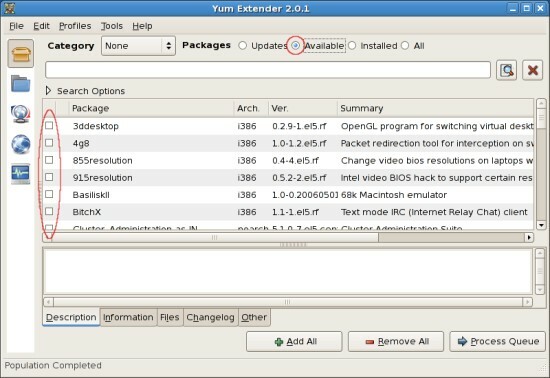 The yum extender (a.k.a. 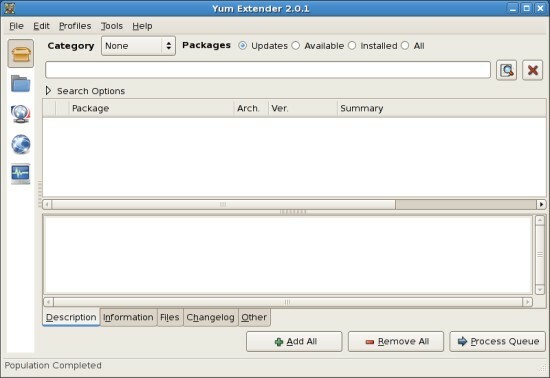 yumex) is an easy to use gui for the yum package manager. 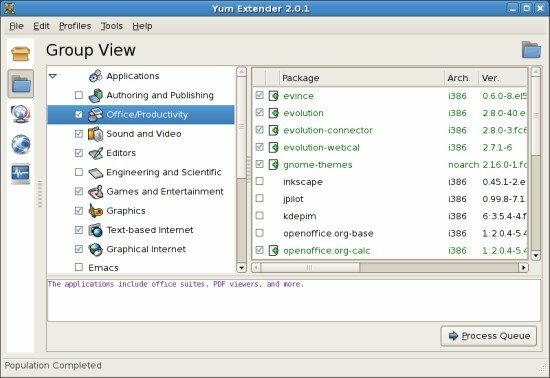 With yumex you can install, deinstall or update packages - it's available in the gnome applications menu. 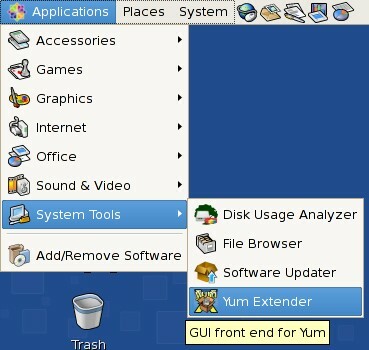 Yumex appears - make yourself familiar with the gui. 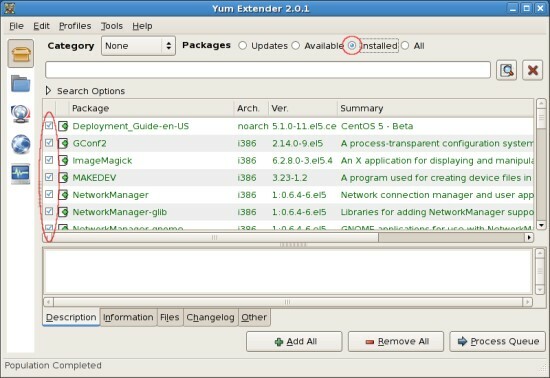 Select the radio-button "Installed" - now you'll see all installed packages. Browse the list or enter a search term in the corresponding field to find a package. If you find a package that you want to remove simply unmark its checkbox. Alternatively you can use the group view. 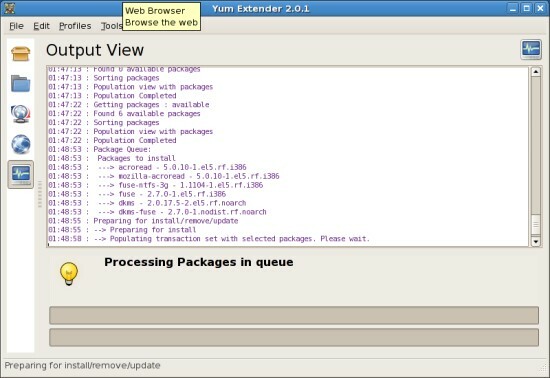 This is the package queue - here you can see all the packages that you selected for deinstallation. If you made a mistake you can remove one or more packages from this list. If you agree to your selection click on "Process Queue" in the bottom right corner. 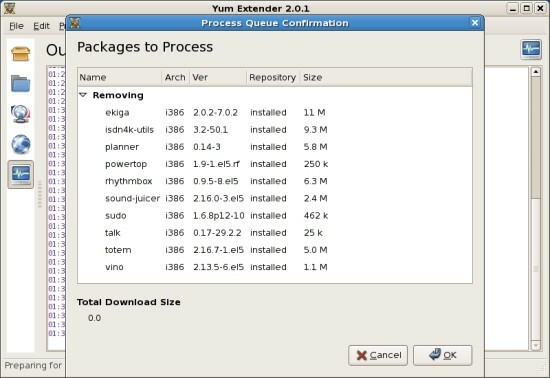 If the packages that you want to deinstall have dependencies, they'll also be marked for deinstallation. Proceed if you agree. The packages are being deinstalled. Deinstallation finished. 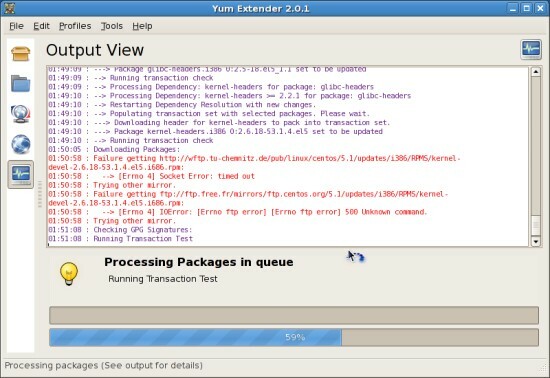 Quit yumex or proceed to reload yumex. 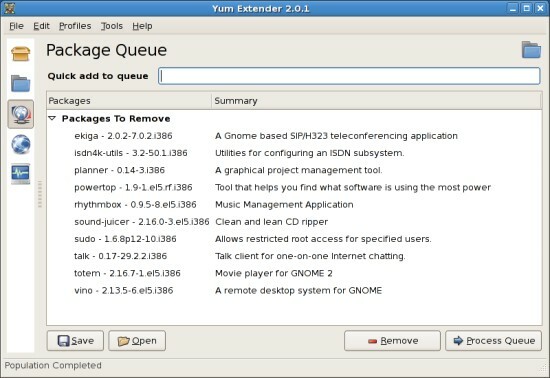 Select the radio-button "Available" - now you'll see all installed packages. Browse the list or enter a search term in the corresponding field to find a package. If you find a package that you want to install simply mark its checkbox. 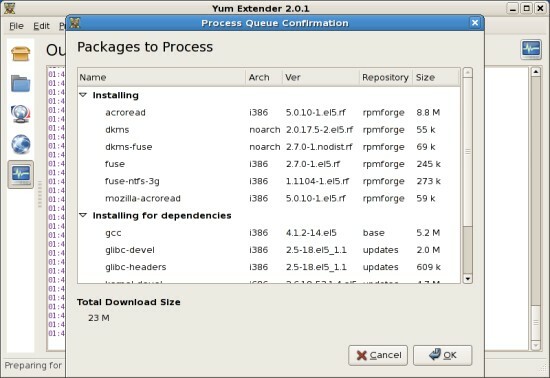 The package queue contains all packages that you selected for installation. If you made a mistake you can remove one or more packages from this list. 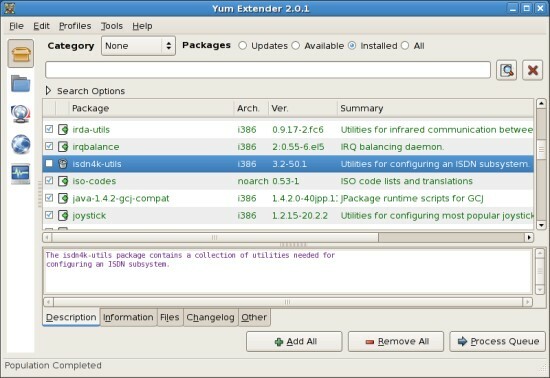 The dependencies are being resolved, they'll also be marked for installation. Installation finished. 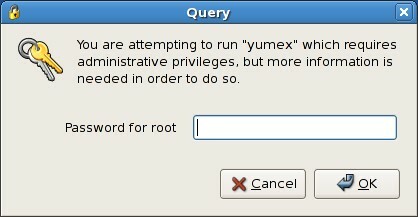 Quit yumex or proceed to reload yumex.